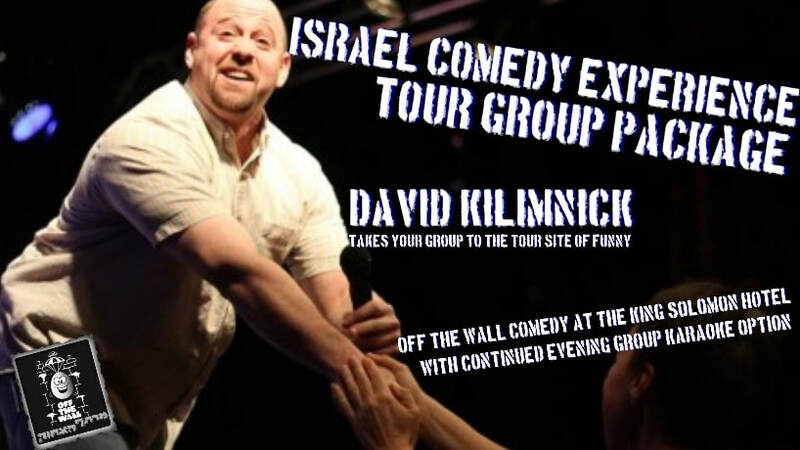 Tour Group- David Kilimnick brings the Israel Comedy Experience to the people. What the tour guide did not tell you. Shabbat- unplugged laughter for your family and friends visiting. We come out to the Hotel to give you the Shabbat Oneg Experience of Laughter. Israeli Education Comedy- Joining non-Israelis and Israelis together. Education and Understanding. 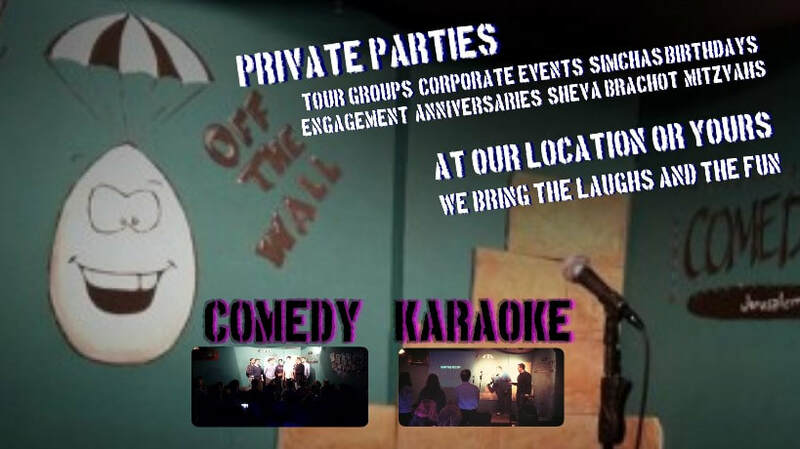 Parties/Birthdays/Engagements/Simchas- You deserve your private comedy show. Makes your party a laugh. Corporate Events- Your company needs a little morale. You have an event you want people to be laughing at. You are celebrating another year. I think you understand. Event Host MC- We bring the professionalism of comedy to your event along with laughter and fun. Women's Parties - We also run parties for ladies only. We also bring sound and lights at your request.